Whatever the reason this cheeky chappie is here to help you say thanks to someone deserving. 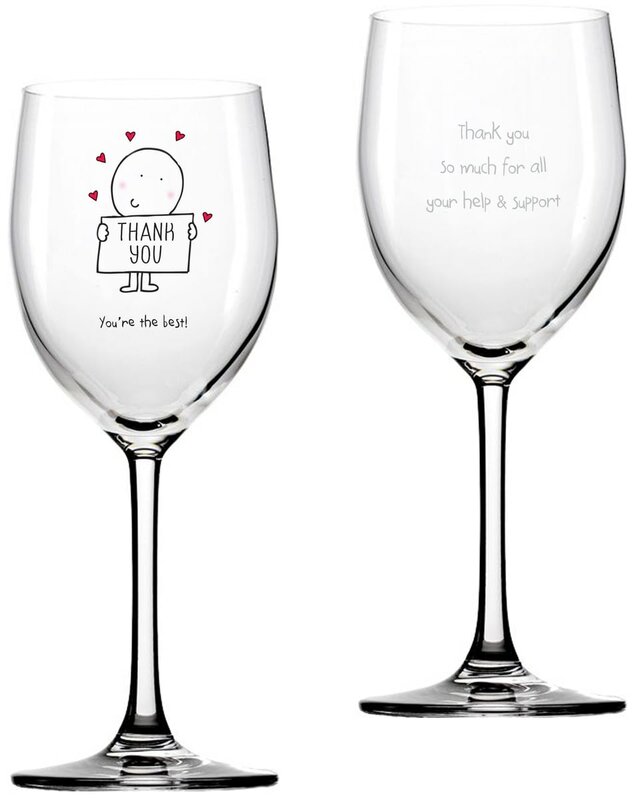 Surrounded by hearts and holding his thank you sign, this Chilli and Bubbles character has been printed directly onto this quality wine glass along with your own heartfelt message engraved underneath. Whether they like red, white or rosé, they’re sure to love your thoughtful gift! Perfect for serving a glass of red, white or rose, this wine glass is given a personal twist for the perfect leaving gift. Perfect for serving a glass of red, white or rose, this wine glass is given a personal twist for the perfect retirement gift.